When talking about Aba Tibetan-Qiang Autonomous Prefecture, the first impression that comes to mind may be the numerous beauty spots. Huanglong Valley, the worldclass scenic zone, Wolong Nature Reserve, China's largest natural habitat for giant pandas; Jiuzhaigou, a wonderland on earth; the Miyaluo Scenic Zone, which is famous for its red and yellow leaves and hot springs; all these are located in Aba prefecture on the Southern rim of the Qinghai-Tibet Plateau and the northwestern part of Sichuan Province. However, beyond these natural attractions, did you know that there is a place in Aba prefecture that attracts hundreds and thousands of local Tibetans every year? Did you know that there is a place that reserves the most original living style of Tibetans? Did you know that there is a place where you can enjoy the most diversified Tibetan buildings and festival celebrations? Yes, this is Aba County, the place that harbors the scared mountains and pure land in the heart of Tibetans. 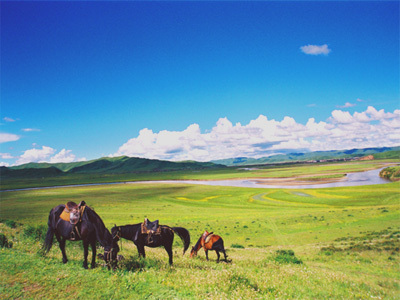 Aba County, located on the Tibetan plateau at an elevation of 3,200 meters, is the largest county in the Aba prefecture and also the second largest Buddhist resort after Lasa in China. Known as the "little potala palace," Aba is also home to 42 monasteries. And among its 60,110 population, a third are monks. 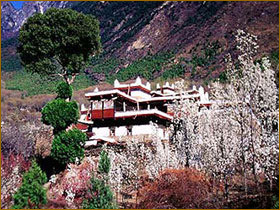 Tibetan Buddhism, during a long course of history, has been giving out glorious luster in the county. In Aba County, you can almost see all the schools of Tibetan Buddhism, and the routine daily practices of the local monks will bring you closer to the purity of their hearts. Aba County is also the best place to experience Tibetan culture. Every year, there are countless activities that are initiated by the local Tibetans to memorize and celebrate various festivals. 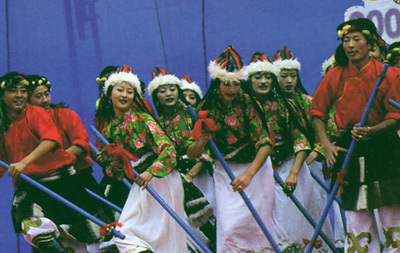 Zachong Festival, which takes place from September 15 to September 17 according to the lunar calendar every year, is the best opportunity to enjoy the Tibetan culture and customs. During the festival, you will be able to enjoy the quintessence of their religious culture in the county, which include mysterious mask dances, grand religious services, Tangka Paintings, and beautiful mural paintings. Other festivals, such as the Horse Race Festival, will allow you to watch the fierce horse racing even among little kids aged from four to eight years old. 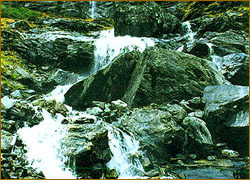 Aba County is also a place to bring you back to the ancient times. Well decorated and colored Tibetan buildings with a thousand years of history will surprise you with both their taste in art and their solid structures. And what expression will you have if you knew that the buildings were simply built by mud? Dotted throughout the Aqu Valley, together with the natural sightseeing, these Tibetan buildings make a wonderful picture - one that can take your breath away! Aba offers the most original and typical food of Tibetan people. Boiled Yak with Chili, Tibetan steamed stuffed bun, butter tea, Juoma with Raisin and Rice are all available in most restaurants. Chinese Islamic cuisine is also sold in small restaurants in Aba County. But if you cannot get used to these ethnic cuisines, closer to the long distance bus station you will find more typical Sichuan cuisine on offer. There are about 40 home inns and hotels at different price levels in Aba County. The prices for accommodation are arranged from 20 yuan to 200 yuan per night. Small sized and privately-run home inns are always the first choices for backpackers. Usually, a double room in a small home inn costs 30 to 40 yuan. But if you visit Aba during the peak season (this mainly refers to summer vacations and the two golden weeks), a standard double room with wash room in the downtown area will cost 50 yuan per night. The only inconvenient thing in Aba County is that the water is in short supply. Hence, the water is usually supplied over a certain period of time. The transportation to and inside Aba County is quite convenient, and Aba County itself is the biggest transportation junction in the prefecture. There are long distances buses heading for Aba from Chengdu City, Mianyang City, Songpan County, Ma'er Kang County, Jinchuan County, Wenchuan County, Hongyuan County, Heishui County and Xiangtang County every day. But usually, there is just one bus each day that goes to Aba County. Chali Monastery (15 miles away from downtown) - Shenzuo Girls Tibetan Village (6 miles away) - Anshen Lake (3 miles away) - Anqiang (3 miles away) - Aba downtown (28 miles).